A power outage can cause problems for any business, but depending on the equipment your company uses, an hour-long power outage can cause even longer lasting downtime. 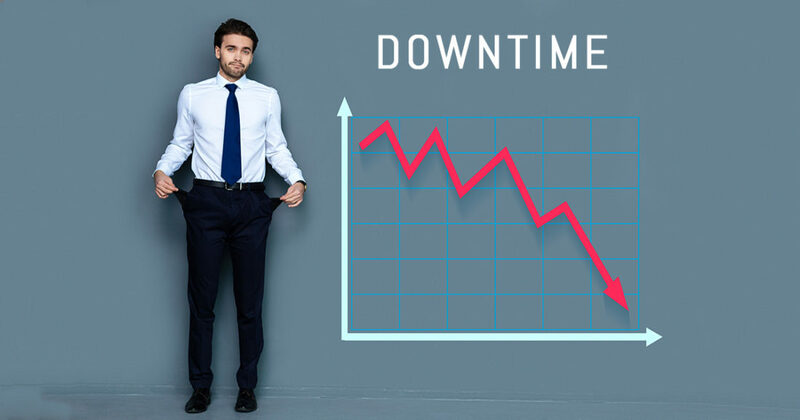 Downtime – no matter how long it lasts – will cost your business money. Whether the result of bad weather or power anomalies, losing power can cause issues for the equipment a business relies on. In addition to the time you are without power, if your equipment cannot shut down properly, you may have even more downtime while your systems reboot or are fixed. The Department of Energy has stated that power outages cost the U.S. economy upwards of $150 billion each year. The cost to your business is dependent upon how long your operation is down. The cost of paying employees when your operations are down and the lack of overall productivity of your facility will quickly take a toll on your profitability. But money is not the only thing you risk losing. Reputations can also be damaged when your downtimes get out of hand. If you cannot produce your products or provide support to your customers, you run the risk of negative reviews and feedback circulating. And in today’s digital age, a negative review can tank a business. The best fight you can mount against unpredictable downtime is a reliable power quality/energy solution. At ECS, we understand how important consistent power is to your company, and we want to help keep your business up and running. Contact us today to find out what we can do for you.